When we were working on translation into the Cerma language of Burkina Faso, Dayle and I both got pink eye(conjunctivitis). One of our friends saw the condition and told us that we had Apollo. We thought that was a rather strange name for a disease, but what did we know. We asked around and discovered that there had been a widespread outbreak of pink eye in West Africa at the same time that Apollo 11 was landing on the moon. Local urban legend (yes, that happens in Africa too), linked the two events and ever since West Africans have called the disease Apollo. 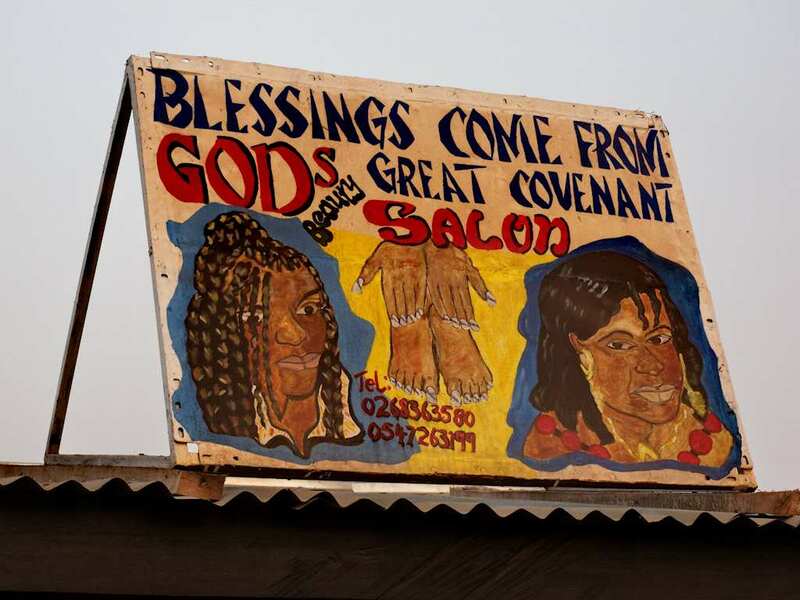 Blessings come from God’s Great Covenant – Hair salon. The association made between the Apollo 11 moon landing and an outbreak of conjunctivitis might seem strange to you, but keep an open mind for a minute. Different cultures have different ideas about the causes of events. We in the West have largely adopted the enlightenment idea that causes are physical, not mystical. We think that science completely explains causes. Many Africans accept mystic causality. If you think that education will change that, you are wrong. Studies have shown a slightly higher percentage of educated Ghanaians accept mystic causality than do uneducated Ghanaians. But don’t roll your eyes. Consider the following illustration of Ghanaian thinking which I have adapted from well-known Ghanaian churchman Peter K. Sarpong. A boy always walks to school following a certain path. He always goes with his friend who comes to his house and they walk together. One morning, his friend comes a few minutes later than usual, and so they set off late. As they are walking their usual route, a large tree falls on the boys, killing them. A westerner will look for a scientifically sound cause for the tragedy. So we might say that the boys died because recent, heavy rains had loosened the earth around the roots of the tree, so it fell. 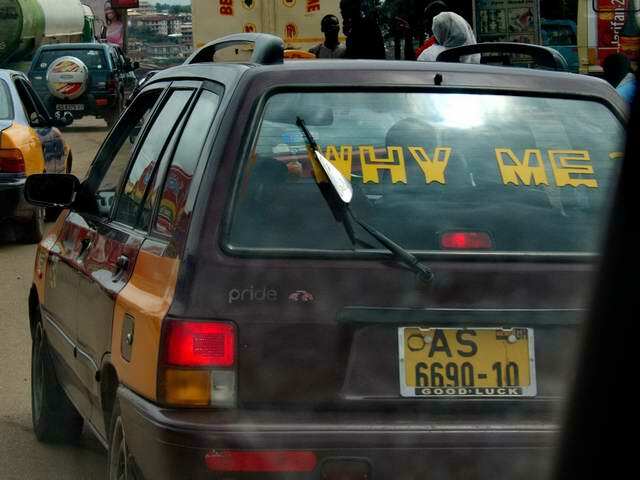 A Ghanaian might agree, but he would make other observations. He wold note that the boys set off late that morning. If they had been on time, the tree would have fallen after they passed. So what made them set off late? Also, the tree’s roots were loose, but why didn’t it fall an hour before or an hour after? Why didn’t the rain come more slowly in a way that would not loosen the roots? The questions go on and on. It does not take long for such questions to defy answers from a perspective of pure, scientific causality. Many Ghanaians conclude that even though scientific causality explains some things, it cannot bring answers that really satisfy. Working effectively across cultures means not dismissing or making fun of what people say and believe about causes, even if at first you just want to roll your eyes. For one thing, people might stop telling you what is really on their minds if you make fun of what they say. And if you think about it, you will find that educated, scientific Westerners are not very different. The not uncommon view that “everything happens for a reason”, for example, cannot be justified by pure science. It is fundamentally a statement of mystic causality. Yet one sees and hears it all the time from educated Americans. In Jesus’ day, many thought that sin caused all disasters and disabilities. See Luke 13:1-5 to see how Jesus dealt with that. I find that I have learned from African viewpoints on causality. Besides, I still remember the shocked look on the African pharmacist’s face when I told him I needed a treatment for Apollo. A white guy is not supposed to know that kind of local legend. This entry was posted in Burkina Faso, Culture, Faith now, Heart language, Personal experience, Religion and tagged causality, mystic causality, ultimate causes. Bookmark the permalink.